Playtime Season 3 continues with episode 9: Man-Cannon 2.0! With Cobra and Wilbert safely freed from their cells, Red and Warren turn their attention towards stopping the Commander once and for all. 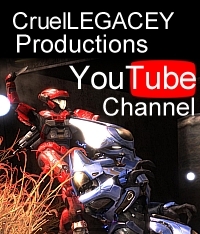 This entry was posted in Episodes, halo reach, Playtime and tagged cruellegacey, machinima, playtime season 3. Bookmark the permalink.